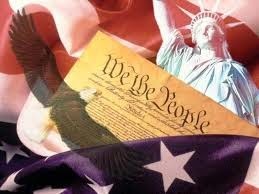 The video below from David Vose is a must-see for every American that believes in the constitution and that the rights guaranteed to us under that very constitution should be celebrated, not taken away from us. Vose shows a clear understanding of what the First Amendment and free speech is all about and that if we are allowed to “punish” people for thinking, feeling, and speaking what they feel, then we have lost those rights. The topic is Donald Sterling and the recently released recording that his racially mixed girlfriend secretly recorded then publicized, causing an uproar and the NBA to ban Sterling for life, which is basically taking away his right to free speech, no matter how moronic and ignorant and racist the partial recording may have sounded. Right by right, liberty after liberty, is being stripped from Americans in the name of “political correctness,” and if we do not put a stop to it now, we will lose our chance to take our constitutional rights back. Sterling is a former trial attorney and while his words were abhorrent in some areas, we can only hope he refuses to let this rest and takes it to court, because while no one will stand by his words, we should all fight for his right to say what he wants to say freely as long as he isn’t inciting violence. Author note- I may disagree vehemently disagree with much of what Sterling said, but I will fight to the death for his right to say it…… this is our country, our constitutional rights and everyone should be willing to fight for those rights.